Councillors can expect to be given a sizeable pay increase after next year's local elections. He has been warned parties will struggle to get suitable candidates for May's elections unless pay levels are hiked from €17,060 per year. Councillors also get vouched expenses of up to €5,000. An interim report, seen by the Irish independent, says the submissions received to date point to the current "representational payment" as "inadequate". Mr Phelan, responsible for local government, said he wants to have the "strongest case" possible before making a submission to the Department of Public Expenditure. "There is an acceptance politically that the ad hoc situation of basic payment plus allowances and expenses needs reform," he said. "If we are to make - and I want to make this argument in the spring of next year - more streamlined clear cut and more than they are at present. "We need to be able to jump the hurdles of public sector pay discussions. He suggested changes should be made before the elections and said councillors' pay could be linked to the public sector. Independent Senator Victor Boylan told an Oireachtas Committee he was aware of "young men and women from different background and traditions from all parties" who said they can no longer go on. He said a "reasonable" wage would be between €30,000 and €35,000. Fine Gael TD Fergus O'Dowd said the demands on local representatives were "huge". "I wouldn't measure a councillor's work even in the sum of €35,000. I don't think that's adequate." He added: "You cannot get people to stand for election. It doesn't pay. It's not family friendly. They have no power." Fianna Fáil's Darragh O'Brien also said he was aware of sitting councillors who will not contest the 2019 election "because of the pressure they are under". "If you want younger people and a more diverse representative group of people the current structures won't work. We'll see more and more people leaving," he said. 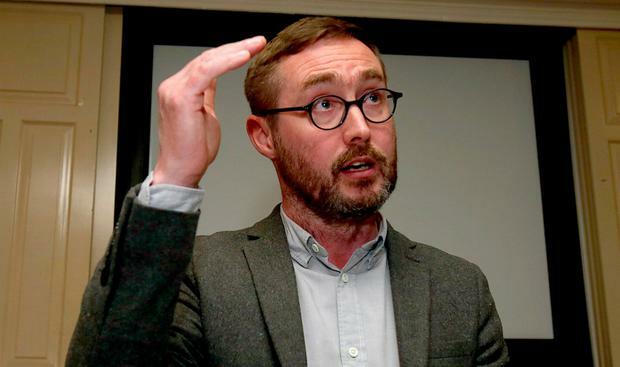 And Sinn Féin's Eoin Ó Broin said councillors are being asked to work for "a level of pay that I wouldn't ask anybody to accept for a full-time job".